Where Roots And Wings Entwine: Little Tikes Hen Friends review. 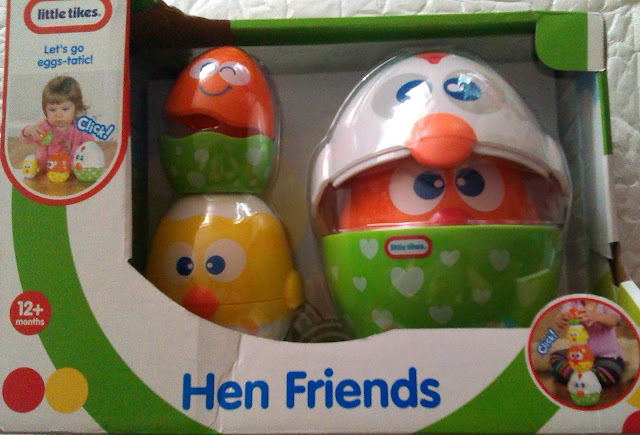 Little Tikes Hen Friends review. 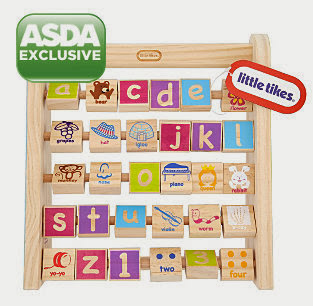 Asda have a new range of Little Tikes toys which is exclusively sold at Asda. 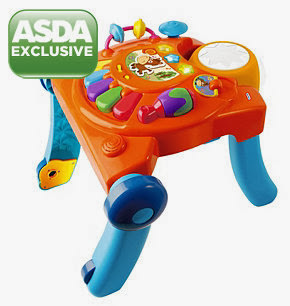 The new Little Tikes range of toys for little ones consists of a number of colourful, interactive, engaging and fun toys. 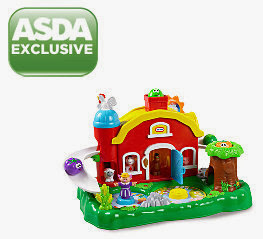 From the new Little Tikes range of toys Asda sent Bug the Little Tikes Hen Friends set to play with. 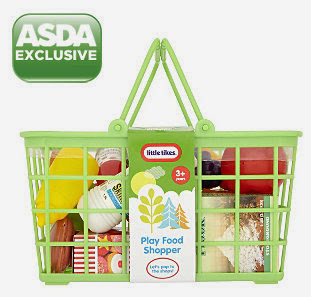 Little Tikes Hen Friends is an early learning toy aimed at little ones aged 12 months+. Hen Friends consists of four colourful hens that click together to be stacked, nested inside of each other or played with as four individual little friends. Little Tikes Hen Friends is a lovely stacking and nesting toy and great for little ones to play with, learning as they have fun exploring, investigating and playing with their four hen friends. I think it is great that the Hen Friends can be played with in a number of ways and I think the eye-catching hens are perfect for imaginative play, hand eye coordination and developing motor skills. I love how colourful and cute the hens are and I think the vibrant hens are very appealing to little ones with the adorable hens making fab little friends. Hen Friends are described as hens that ‘click closed’ and ‘click’ together, unfortunately we have found that the hens do not click securely closed as such they do not stay together when you move them and even when you nest them inside of each other often when you open them up again the smaller hens inside are no longer stuck together. The benefit of this is that little hands will not struggle to prise the hens apart as they would if the click connection was stronger but the downside is that one little knock and the hens come apart and I have found little ones get frustrated that their little hen friends do not stay complete especially when attempting to move them. As Bug is 2½ years old, even though he has played with the Hen Friends and has enjoyed hiding little treats and his Lego Duplo friends inside of the hens, this stacking and nesting toy is a little young for him so he has shared the hens with his little friend who is 15 months old. Bug’s little friend is at the ideal age to benefit from playing with the Hen Friends and every time he visits for a play date he loves playing with the colourful hens and giggles galore can be heard when Bug hides little treats inside the hens for his little pal to find. 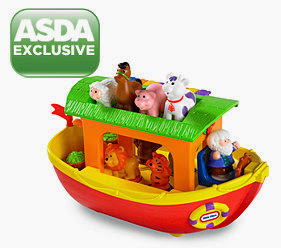 Overall I think the Little Tikes Hen Friends set is a lovely stacking and nesting toy and even though it is a shame that they do not truly click together, little ones can still have lots of fun playing with the little hens which priced at £8 is great value for a toy that provides entertainment, encourages imaginative play, helps develop hand eye co-ordination and motor skills. 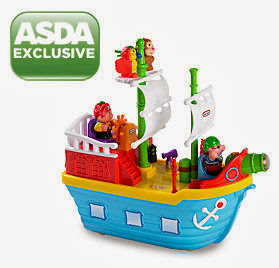 As we love Little Tikes with a great range of Little Tikes toys available exclusively at Asda I think a visit to Asda is called for to get Bug a few Little Tikes toys for Christmas….I know he would love the Noah’s Animal Arkestra, Pirates Quest and the Discovery Farm.